Empty sand bags are perfect for travelling. They can be filled with sand, shot, or gravel on location providing up to 25 pounds to use as a counterweight on a boom or to hold down stands. 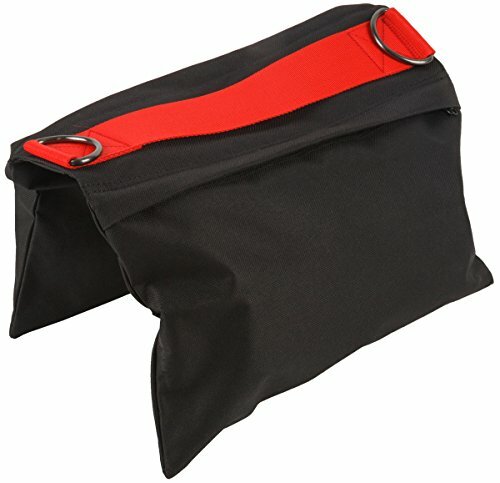 The saddlebag design features two compartments that can be easily filled and zipped shut. The zippers are protected with a secure, hook-and-loop flap.